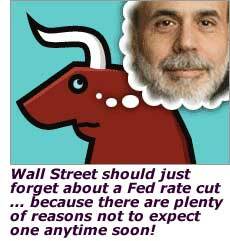 No Fed US Interest rate cut in sight ! Right now, the U.S. economy is far from an economic dynamo. If you're looking for major growth, you'll have to go someplace else, like Asia. Industrial production rose 0.4%, above expectations of a 0.1% gain, and a measure of how much factory space is being used remained relatively high. Retail sales increased 0.9%, the biggest gain in five months. Job growth topped expectations in December, and the unemployment rate remains low. Import prices jumped 1.1% versus a forecast of 0.6%. Even if you exclude all fuels because oil prices have come down this month, you still find elevated gains in “core” import prices. They rose 0.2%, the most in three months. The Consumer Price Index rose 0.5%, more than the 0.4% expected. The core CPI also gained 0.2%, the biggest increase since September. Price gains popped up in several categories of goods and services. And the year-over-year core inflation rate of 2.6%, remained well above the Fed's unofficial 2% ceiling. We live in an increasingly globalized market. What happens in China ... India ... Europe ... Japan ... or Russia has a bigger bearing on our financial markets than ever before. Not even the Fed can ignore that. Example: On January 11, the Bank of England shocked the markets and hiked short-term rates by a quarter point. U.S. bond prices tumbled and interest rates shot up. British central bankers aren't shrugging off rising inflation pressures — they're tackling them head on! And they're not the only ones ... The European Central Bank is also on a tightening track. It has already raised short-term rates six times to 3.5%, and a hike to 3.75% in March is all but certain. Pressure is also mounting for the Bank of Japan to hike interest rates. They've only done that once in the current cycle. But liquidity is overflowing and the economy is in its longest economic expansion since World War II. A February increase looks likely to me. So, can the Fed afford to cut rates while other central banks are raising rates? If it had some evidence that the U.S. economy was really heading into the crapper and inflation was tanking ... maybe. But as I just showed you, the data just doesn't support that argument. Risk-Taking Is Already Running Rampant! I don't care if you're talking about stocks, high-risk bonds, or commercial real estate. Virtually all assets are going up, up, and away right now. The reason is simple – investors are taking huge risks with easy money to generate extra returns. A shining example of this is the mezzanine lending market. Mezzanine lenders have very little hope of recovering their money in the event of a default. That's because their loans are far down the repayment list. In the event of a default, senior lenders get paid back first. Then the mezzanine guys get any scraps that are left. With a bad loan, mezzanine lenders typically stand to lose 90% of their money vs. just 10% for senior lenders. This is why mezzanine loans are usually hard to come by and carry high interest rates. These days, the mezzanine market is exploding, with a record $18 billion in loans made last year. At the same time, the reasons for making mezzanine loans — stock-based incentives and higher interest rates — are shrinking fast or disappearing altogether. Clearly there's just too much money chasing high-risk debt of any shape or size. Cutting rates would be like pouring gasoline on a fire. And that's just one more reason why I think a rate cut isn't in the cards. So, what should investors do? First, if you're in an adjustable rate mortgage ... owe tens of thousands of dollars on a home equity line of credit ... or are loaded up with variable rate credit card debt, don't count on rate relief anytime soon. Pay down the debt as quickly as you can. Second, if you're a fixed-income investor, continue to keep your money in short-term Treasury bonds. Their yields remain higher than yields on longer-term notes and bonds. So it doesn't make sense to take on the extra inflation risk inherent in long-term Treasuries — especially since you can't count on the Fed to rescue you! Third, if you're holding interest-sensitive stocks, make sure they're rock solid. For example, consider sticking to lenders with less credit risk and banks that make lots of money from fees rather than interest rate spreads. These kinds of companies don't need the Fed to save their bacon.